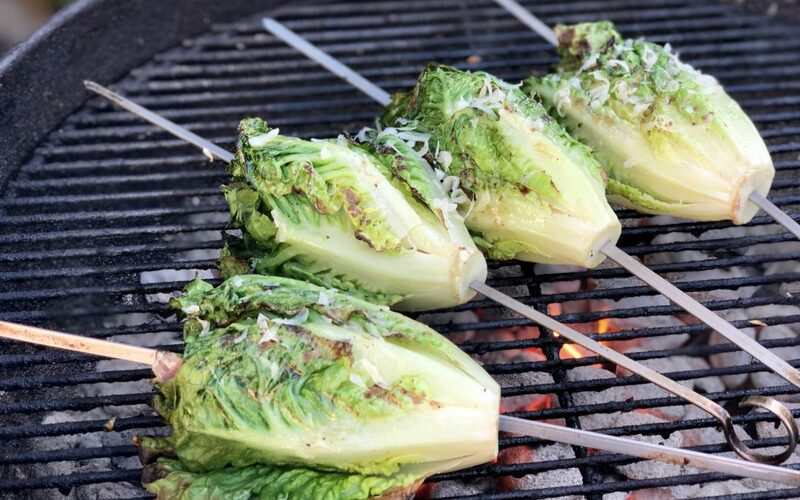 You will surely impress your guests when they are served ‘Italian Salad on a Stick’! 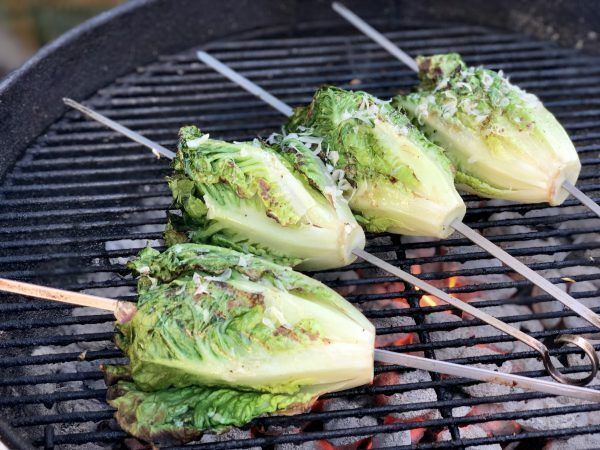 Skewered Little Gem lettuce that has been stuffed with Italian Salami, Parmigiano Reggiano and black olives and drizzled with ‘Basil Infused Olive Oil Dressing’ gets grilled and served warm off the grill…YoU too can be a ‘Backyard-Grilling-Guru!! Mix together 'Basil Infused Olive Oil Dressing' ingredients in a small bowl and set aside. To prepare lettuce: Cut off any brown from the stem of lettuce and remove any torn or brown leaves. Carefully hollow out the very center of the heads of lettuce leaving the head of lettuce in tact. To do this I very gently grab the center and twist, it should pull right out. In a small bowl mix together: salami, olives and cheese. Stuff 1/2 cup of this mixture into the center of each head of lettuce; pressing firmly. Drizzle 1 tsp. dressing over salami mixture. 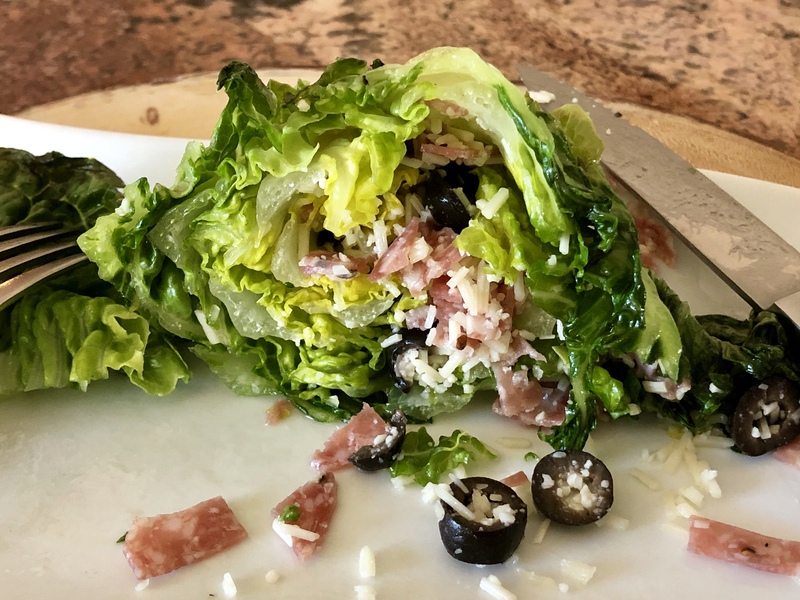 Push a thin skewer through the bottom core of the lettuce out through the top. 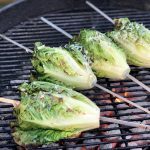 Brush the outer lettuce leaves to coat with dressing. Grill over medium-low heat; grill for 4 minutes turning every minute. 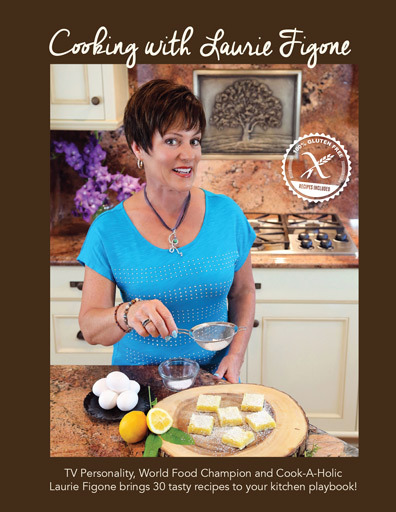 Remove from grill to a platter and grate with more Parmigiano Reggiano. Mangia!